This peninsula is known by various names. In ancient and medieval times, the Horn of Africa was referred to as the Bilad al Barbar ("Land of the Barbarians"). It is also known as the Somali peninsula, or in the Somali language, Geeska Afrika, Jasiiradda Soomaali or Gacandhulka Soomaali. 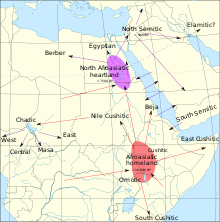 In other languages that are local or adjacent to the Horn of Africa, it is known as የአፍሪካ ቀንድ yäafrika qänd in Amharic, القرن الأفريقي‎ al-qarn al-'afrīqī in Arabic, Gaaffaa Afriikaa in Oromo and ቀርኒ ኣፍሪቃ in Tigrinya. The Horn of Africa is sometimes shortened to HOA. The Horn of Africa is quite commonly designated simply the "Horn", while inhabitants are sometimes colloquially referred to as Horn Africans. Sometimes the term Greater Horn of Africa is used, either to be inclusive of neighbouring northeast African countries, or to distinguish the broader geopolitical definition of the Horn of Africa from narrower peninsular definitions. 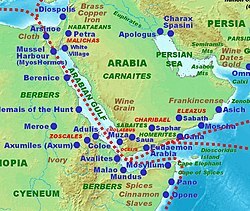 Ancient Greeks and Romans referred to the Somali peninsula as Regio Aromatica or Regio Cinnamonifora due to the aromatic plants, or Regio Incognita owing to its unchartered territory. Shell middens 125,000 years old have been found in Eritrea,  indicating the diet of early humans included seafood obtained by beachcombing. The first continuous relations with a European country began in 1508 with Portugal under Emperor Lebna Dengel, who had just inherited the throne from his father. This proved to be an important development, for when Abyssinia was subjected to the attacks of the Adal Sultanate General and Imam Ahmad ibn Ibrahim al-Ghazi (called "Gurey" or "Grañ", both meaning "the Left-handed"), Portugal assisted the Ethiopian emperor by sending weapons and four hundred men, who helped his son Gelawdewos defeat Ahmad and re-establish his rule. This Abyssinian–Adal War was also one of the first proxy wars in the region as the Ottoman Empire, and Portugal took sides in the conflict. In the period following the opening of the Suez canal in 1869, when European powers scrambled for territory in Africa and tried to establish coaling stations for their ships, Italy invaded and occupied Eritrea. On January 1, 1890, Eritrea officially became a colony of Italy. 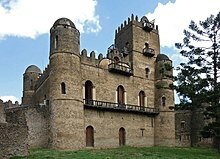 In 1896 further Italian incursion into the horn was decisively halted by Ethiopian forces. By 1936 however, Eritrea became a province of Italian East Africa (Africa Orientale Italiana), along with Ethiopia and Italian Somaliland. By 1941, Eritrea had about 760,000 inhabitants, including 70,000 Italians. The Commonwealth armed forces, along with the Ethiopian patriotic resistance, expelled those of Italy in 1941,  and took over the area's administration. The British continued to administer the territory under a UN Mandate until 1951, when Eritrea was federated with Ethiopia, as per UN resolution 390(A) and under the prompting of the United States adopted in December 1950. From 1862 until 1894, the land to the north of the Gulf of Tadjoura situated in modern-day Djibouti was called Obock and was ruled by Somali and Afar Sultans, local authorities with whom France signed various treaties between 1883 and 1887 to first gain a foothold in the region. In 1894, Léonce Lagarde established a permanent French administration in the city of Djibouti and named the region Côte française des Somalis ( French Somaliland), a name which continued until 1967. In 1958, on the eve of neighboring Somalia's independence in 1960, a referendum was held in the territory to decide whether or not to join the Somali Republic or to remain with France. The referendum turned out in favour of a continued association with France, partly due to a combined yes vote by the sizable Afar ethnic group and resident Europeans. There was also reports of widespread vote rigging, with the French expelling thousands of Somalis before the referendum reached the polls. The majority of those who voted no were Somalis who were strongly in favour of joining a united Somalia, as had been proposed by Mahmoud Harbi, Vice President of the Government Council. Harbi was killed in a plane crash two years later. Djibouti finally gained its independence from France in 1977, and Hassan Gouled Aptidon, a Somali politician who had campaigned for a yes vote in the referendum of 1958, eventually wound up as the nation's first president (1977–1999). In early 2011, the Djiboutian citizenry took part in a series of protests against the long-serving government, which were associated with the larger Arab Spring demonstrations. The unrest eventually subsided by April of the year, and Djibouti's ruling People's Rally for Progress party was re-elected to office. 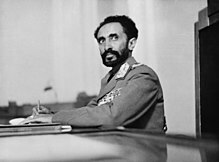 Haile Selassie's reign came to an end in 1974, when a Soviet-backed Marxist-Leninist military junta, the Derg led by Mengistu Haile Mariam, deposed him, and established a one-party communist state, which was called the People's Democratic Republic of Ethiopia. In July 1977, the Ogaden War broke out after the government of President of Somalia Siad Barre sought to incorporate the predominantly Somali-inhabited Ogaden region into a Pan-Somali Greater Somalia. By September 1977, the Somali army controlled 90% of the Ogaden, but was later forced to withdraw after Ethiopia's Derg received assistance from the USSR, Cuba, South Yemen, East Germany  and North Korea, including around 15,000 Cuban combat troops. In 1989, the Tigrayan Peoples' Liberation Front (TPLF) merged with other ethnically based opposition movements to form the Ethiopian Peoples' Revolutionary Democratic Front (EPRDF), and eventually managed to overthrow Mengistu's dictatorial regime in 1991. A transitional government, composed of an 87-member Council of Representatives and guided by a national charter that functioned as a transitional constitution, was then set up. The first free and democratic election took place later in 1995, when Ethiopia's longest-serving Prime Minister Meles Zenawi was elected to office. As with other nations in the Horn region, Ethiopia maintained its historically close relations with countries in the Middle East during this period of change. Zenawi died in 2012, but his Ethiopian People's Revolutionary Democratic Front (EPRDF) party remains the ruling political coalition in Ethiopia. Geologically, the Horn and Yemen once formed a single landmass around 18 million years ago, before the Gulf of Aden rifted and separated the Horn region from the Arabian Peninsula. 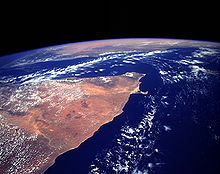 The Somali Plate is bounded on the west by the East African Rift, which stretches south from the triple junction in the Afar Depression, and an undersea continuation of the rift extending southward offshore. The northern boundary is the Aden Ridge along the coast of Saudi Arabia. The eastern boundary is the Central Indian Ridge, the northern portion of which is also known as the Carlsberg Ridge. The southern boundary is the Southwest Indian Ridge. Besides sharing similar geographic endowments, the countries of the Horn of Africa are, for the most part, linguistically and ethnically linked together,  evincing a complex pattern of interrelationships among the various groups. The two main macro groups in the Horn are the Cushitic peoples traditionally centered in the lowlands and Ethiosemitic or Abyssinian people centered in the highlands. The Horn has produced numerous indigenous writing systems. Among these is Ge'ez script (ግዕዝ Gəʿəz) (also known as Ethiopic), which has been written in for at least 2000 years. It is an abugida script that was originally developed to write the Ge'ez language. In speech communities that use it, such as the Amharic and Tigrinya, the script is called fidäl (ፊደል), which means "script" or "alphabet". In the early 20th century, in response to a national campaign to settle on a writing script for the Somali language (which had long since lost its ancient script ), Osman Yusuf Kenadid, a Somali poet and remote cousin of the Sultan Yusuf Ali Kenadid of the Sultanate of Hobyo, devised a phonetically sophisticated alphabet called Osmanya (also known as far soomaali; Osmanya: 𐒍𐒖𐒇 𐒈𐒝𐒑𐒛𐒐𐒘) for representing the sounds of Somali. Though no longer the official writing script in Somalia, the Osmanya script is available in the Unicode range 10480-104AF [from U+10480 – U+104AF (66688–66735)]. The ancient Axumite Kingdom produced coins and stelae associated with the disc and crescent symbols of the deity Ashtar. The kingdom later became one of the earliest states to adopt Christianity, following the conversion of King Ezana II in the 4th century. Additionally, Judaism has a long presence in the region. 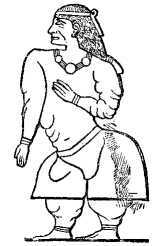 The Kebra Negast ("Book of the Glory of Kings") relates that Israelite tribes arrived in Ethiopia with Menelik I, purported to be the son of King Solomon and the Queen of Sheba (Makeda). The legend relates that Menelik as an adult returned to his father in Jerusalem, and then resettled in Ethiopia, and that he took with him the Ark of the Covenant. 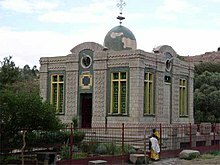 The Beta Israel today primarily follow the Orit (from Aramaic "Oraita" – " Torah"), which consists of the Five Books of Moses and the books Joshua, Judges and Ruth. 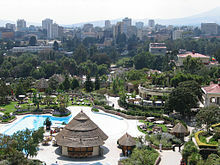 In the modern era, the Horn of Africa has produced several world-famous sports personalities, including long distance runners such as the world-record holder Kenenisa Bekele and Derartu Tulu, the first Ethiopian woman to win an Olympic gold medal and the only woman to have twice won the 10,000 meter Olympic gold in the short history of the event. One of the most successful runners from the region has been Haile Gebrselassie  who was acclaimed as " Athlete of the Year 1998" by the International Association of Athletics Federations (IAAF). As well as numerous gold medals in various events, Gebrselassie achieved 15 world records and world bests in long and middle distance running, including world record marathon times in 2007 and 2008. Somali athlete Abdi Bile became a world champion when he won the 1500m for men at the 1987 World Championships in Athletics, running the final 800m of the race in 1:46.0, the fastest final 800m of any 1,500 meter track race in history. ^ Walter RC, Buffler RT, Bruggemann JH, et al. (May 2000). "Early human occupation of the Red Sea coast of Eritrea during the last interglacial". Nature. 405 (6782): 65–9. Bibcode: 2000Natur.405...65W. doi: 10.1038/35011048. PMID 10811218. ^ Ghirotto S; Penso-Dolfin L; Barbujani G. (Aug 2011). "Genomic evidence for an African expansion of anatomically modern humans by a Southern route". Human Biology. 83 (4): 477–89. doi: 10.3378/027.083.0403. PMID 21846205. Data on cranial morphology have been interpreted as suggesting that, before the main expansion from Africa through the Near East, anatomically modern humans may also have taken a Southern route from the Horn of Africa through the Arabian peninsula to India, Melanesia and Australia, about 100,000 yrs ago. ^ Mellars, P; KC, Gori; M, Carr; PA, Soares; Richards, MB (Jun 2013). "Genetic and archaeological perspectives on the initial modern human colonization of southern Asia". Proceedings of the National Academy of Sciences of the United States of America. 110 (26): 10699–704. doi: 10.1073/pnas.1306043110. PMC 3696785. PMID 23754394. These data support a coastally oriented dispersal of modern humans from eastern Africa to southern Asia ∼60-50 thousand years ago (ka). This was associated with distinctively African microlithic and "backed-segment" technologies analogous to the African "Howiesons Poort" and related technologies, together with a range of distinctively "modern" cultural and symbolic features (highly shaped bone tools, personal ornaments, abstract artistic motifs, microblade technology, etc. 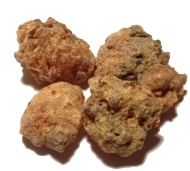 ), similar to those that accompanied the replacement of "archaic" Neanderthal by anatomically modern human populations in other regions of western Eurasia at a broadly similar date. ^ Fleagle, John G.; Brown, Francis H.; McDougall, Ian (17 February 2005). "Stratigraphic placement and age of modern humans from Kibish, Ethiopia". Nature. 433 (7027): 733–736. doi: 10.1038/nature03258. ISSN 1476-4687. PMID 15716951. ^ Hammond, Ashley S.; Royer, Danielle F.; Fleagle, John G. (Jul 2017). "The Omo-Kibish I pelvis". Journal of Human Evolution. 108: 199–219. doi: 10.1016/j.jhevol.2017.04.004. ISSN 1095-8606. PMID 28552208. ^ Ehret C, Keita SO, Newman P (December 2004). "The origins of Afroasiatic". Science. 306 (5702): 1680.3–1680. doi: 10.1126/science.306.5702.1680c. PMID 15576591. ^ Jason A. Hodgson; Connie J. Mulligan; Ali Al-Meeri; Ryan L. Raaum (June 12, 2014). "Early Back-to-Africa Migration into the Horn of Africa". PLOS Genetics. 10 (6): e1004393. doi: 10.1371/journal.pgen.1004393. PMC 4055572. PMID 24921250. ; "Supplementary Text S1: Affinities of the Ethio-Somali ancestry component". doi: 10.1371/journal.pgen.1004393.s017.